Websites compete for peoples time, attention and collaboration.It might not be clear to users why they are drawn to certain websites, but it is evident that the website curator is astute to their audiences needs. The curator can fashion their website to make it accessible; easy to approach and understand, findable; easy to discover and come upon, and use; fit and convenient to use. We can relate to these terms and then understand what makes our favourite websites just that. To come upon, often by accident; meet with: found a dime on the floor. To comeupon or discover by searching or making an effort. To discover or ascertainthrough observation, experience, or study. To recover (something lost). To recoverthe use of; regain. To obtain or acquire by effort. To decide on and make adeclaration about. To furnish. Capable of being used. Fit for use; convenient to use. These aspects of a website are important for success. They can be tested via Focus Groups (Surveys and interviews with users), Wireframe (testing the navigation), satisfaction testing and so on. 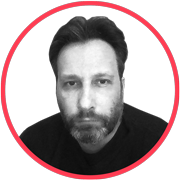 Andy Adams is a digital communications experts who’s work centres around web-based creative collaboration. He is responsible for the collaborative photography website ‘FlakPhoto’ which seeks to promote photographers work. Personal projects include ‘Photo 2.0′, ‘100 Portraits’ and ‘The Future Of Photobooks’. He is a forward thinking digital curator. 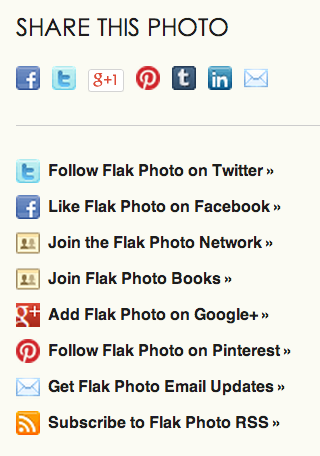 FlakPhoto is an easily navigated site. 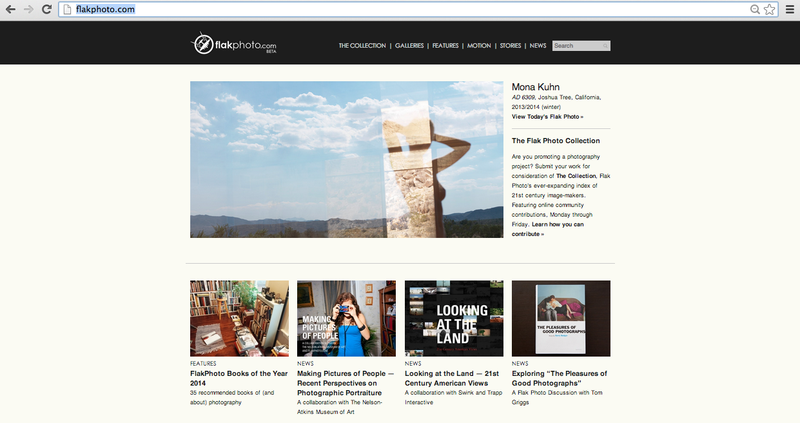 When clicked on a photographers work in ‘The Collection’, one can navigate immediately (if they wanted) to that photographers website on a link underneath the photographs. The bite-size description of the work is then followed by the option to interact with the article via twitter or facebook, which increases interactation for the viewer and exposure for both the website and the artist. Underneath every post is the option to interact via facebook and twitter (as mentioned), along with many other social media platforms to the righthand-side. These interactions link the website with social media platforms to act as another way to promote and find the website, as well as the photographers work. It is also easy to locate on google. But its main asset is its social media presence spearheaded by Adams’ active presence online. The websites design allows the viewer to find what they are looking with its simple design. Each category lists the content with an image and a small heading. Once the viewer has found one that they are looking for, they are presented with a short article about the work along with links and interacts at their disposal. The text is not intimidating, it is an insight to provoke interest, to interact and to learn. 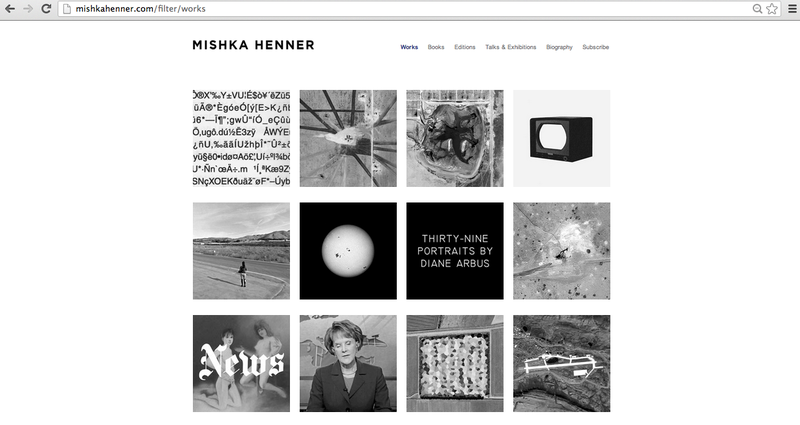 Mishka Henner is a working photographer who creates original work. He uses digital media to appropriate someones work, add further meaning to it and contextualise it within the history of photography. His website is a platform to present his portfolio of work, advertise events and sell his artist books. The website doesn’t have such a strong connection with social media, instead its links and interacts are there to find more information about it his work by accessing articles and selling his work buy linking to online retailers. Henner links the website address in his twitter description, but rarely integrates his social media with his website. Because he is a working artist, the website is not his outcome, it is a place where people are self-directed to learn more about his work. 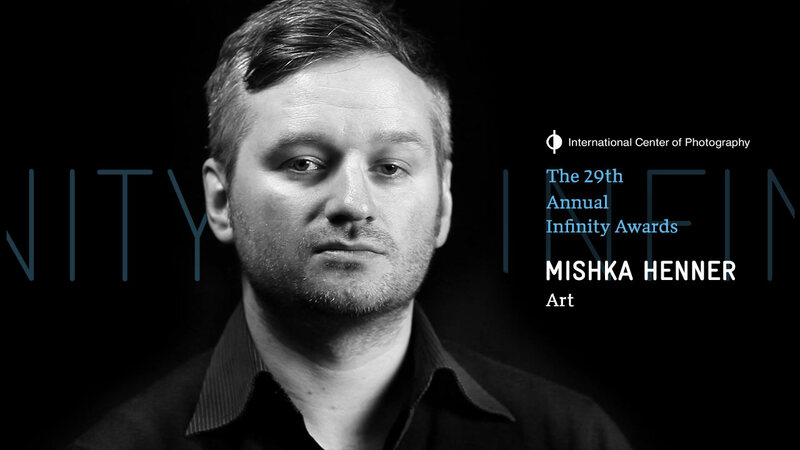 Exhibitions, talks, articles, and fellow artists will intrigue the viewers to interact online with a google search after their experiences with his work. 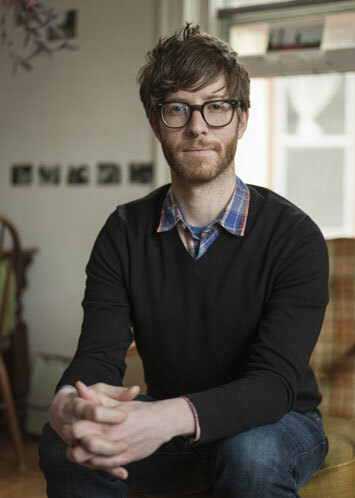 Stuart Pilkington is a UK based photographer and art curator. 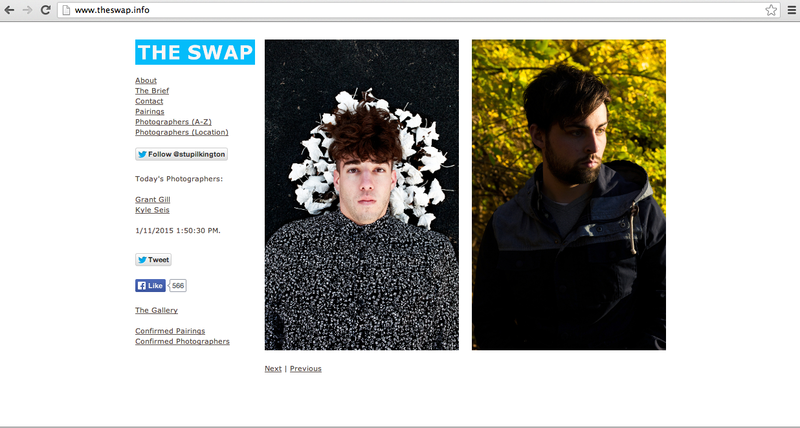 His current project ‘The Swap’ is a website that links two image makers based in similar location to make portraits of each other. The sign lists the participants of the projects and advertises the audience to become a participant. Viewers not taking part can still follow the project on the homepage where the photographs are posted after the pairings have captured their images. The site has a strong social media presence on the left-hand side of each page. The viewer can easily flick through each heading to find out more about the project with spaced out, bitesize text. The website is the first hit on google under ‘The Swap’. But its main purpose is its interaction with photographs. 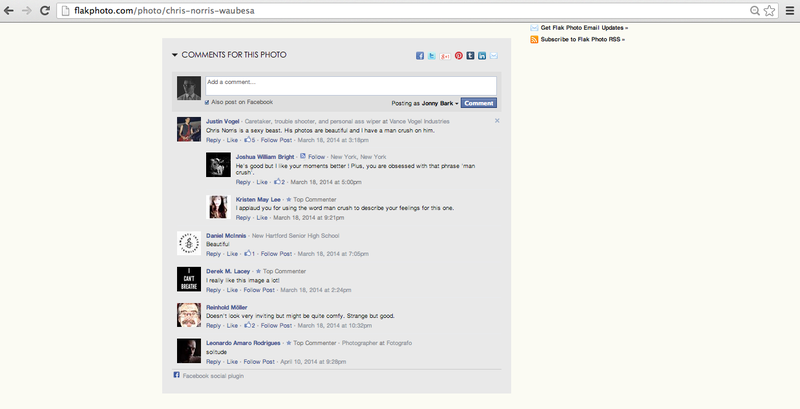 By linking two photographers (who most likely haven’t met or heard of each other before), it has a physical presence. Those who interact will share their photos on their social media and form word of mouth, and spread the reach of the website. The design allows for easy navigation between photographs and headings. The audience can find out more about the project from the about, brief and pairings pages. It all allows for simple navigate, and an excellent archive of the pairings work for all to interact with.